It’s Friday night and yet again we’re at Sensory World in Dewsbury for the fourth edition of Creative Scene’s spoken word event. 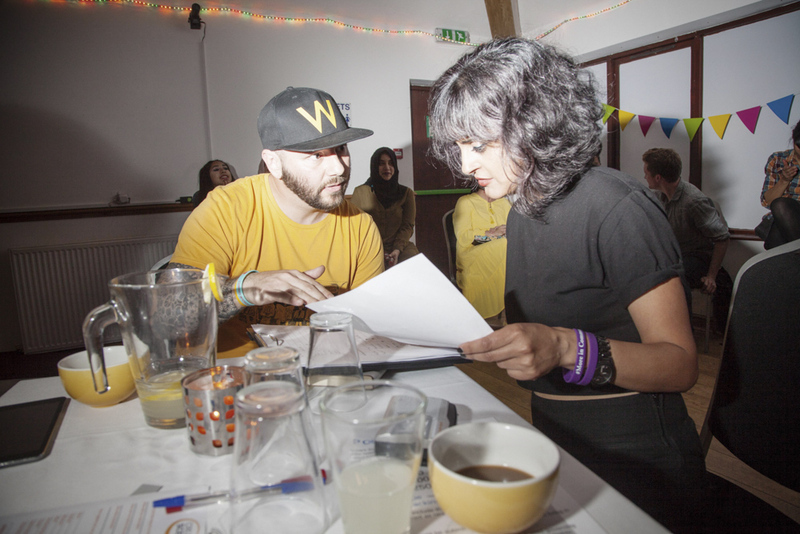 Up until now organiser Parveen has invited local writing groups and poets first hand. 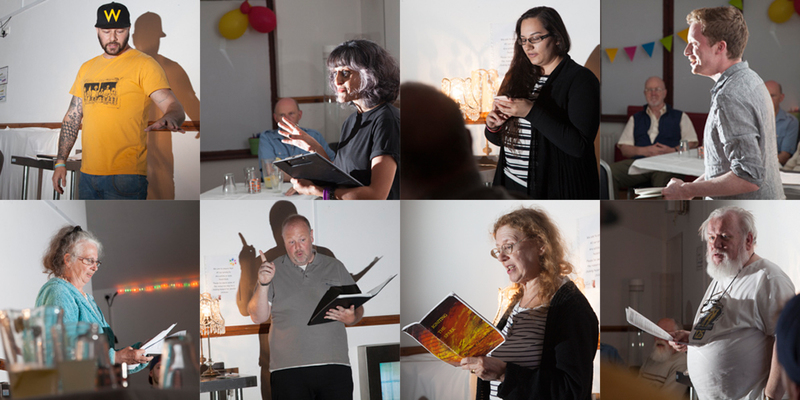 “For tonight’s event we had some postcards printed and I put them in libraries, in the railway station and around the pubs that I know do open mic events. Let’s see who rocks up. “Do you write and perform?” I ask Katie’s friend. After a brief welcome from Parveen, Phil is on his feet and, by way of introduction, apologises for the chutney stain. 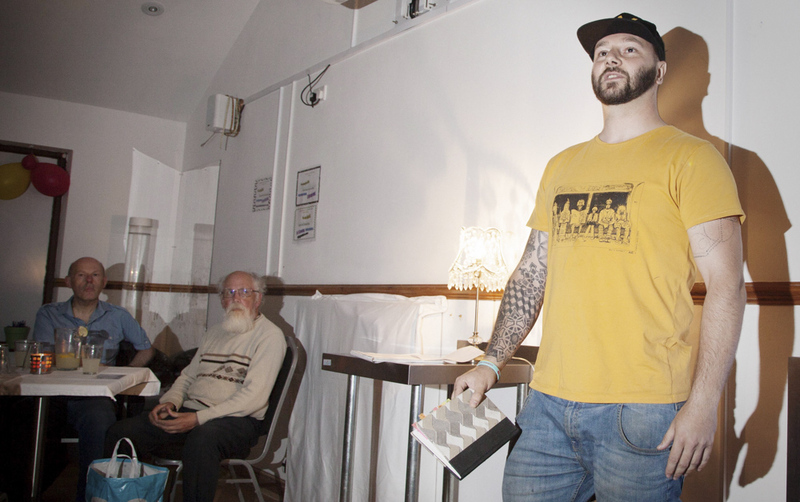 His poem about drugs – “Hello, my name’s Phil and I’m an addict” – is followed by a very personal one about cancer and a third about knife crime. One performer follows another. There are pieces about dementia, loneliness, volunteering, NHS privatisation, community unity and a lament for the passing of the X33 bus. While we all tuck into the sandwiches and samosas at half time I notice we’ve been joined by a group of five young woman. 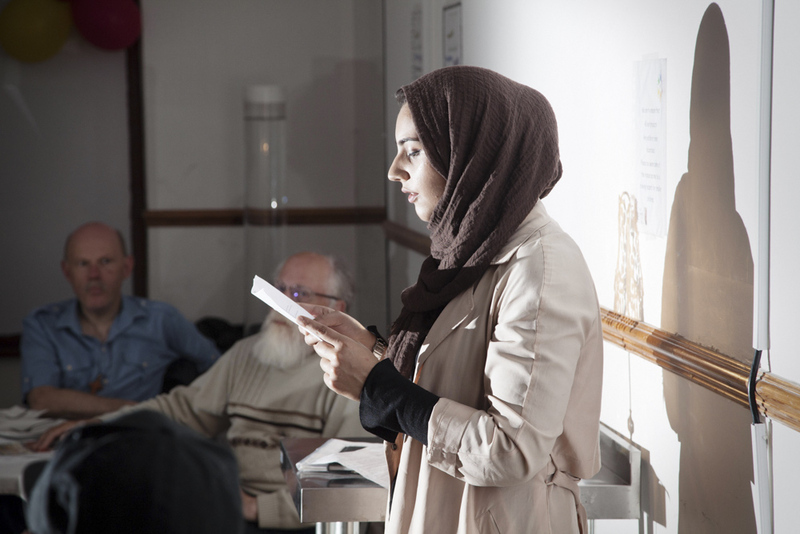 Maariya tells me she’s been writing a blog for a couple of years now and she heard about tonight’s event at the library. “What’s your blog about?” I ask. “Are you nervous?” Maariya holds her hand flat above her head. Before the second half kicks off I catch up with Katie and Ash again. “Written anything yet?” I ask Ash.